Now available for the first time as a complete set! Special discounted Bundle pricing available for a limited time only! 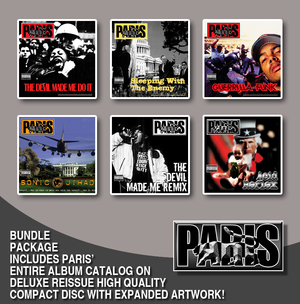 Own the entire catalog of Paris albums today! Step into the arena of one of the fiercest and most fearless political minds in hip-hop! 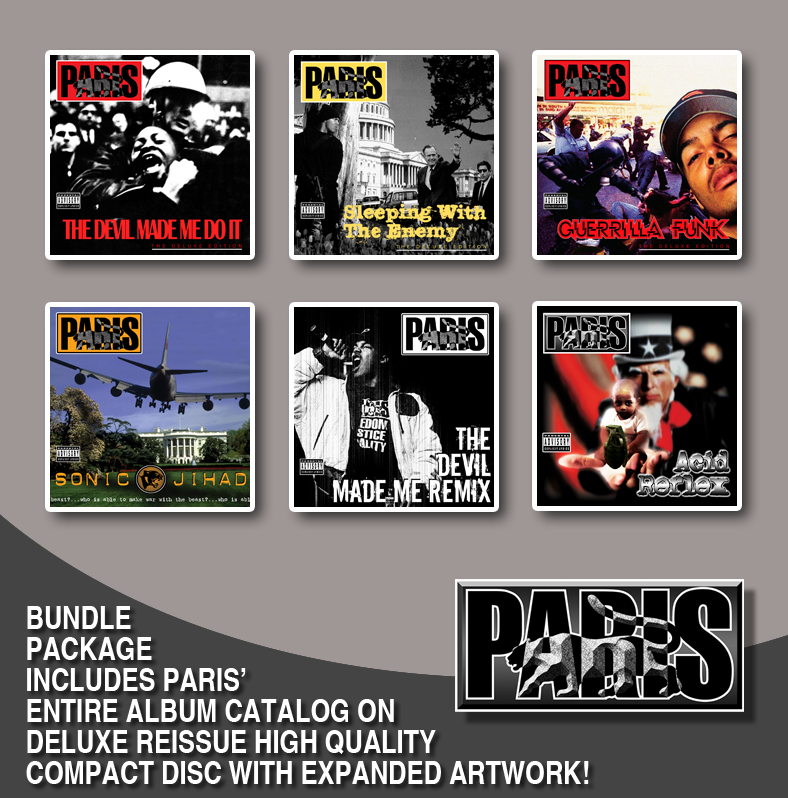 Now you can experience each album in its remastered glory, complete with expanded artwork! A necessary addition to any collection! Buy a Bundle today or get one for a friend! Hard Truth at its finest!